Captain Cavedweller is once again my hero. I came home last night to find he had been to the store and found these. The monster of all marshmallows. I kid you not, these things are huge! So after seeing the size of these babies, my mind immediately jumped to S’mores. 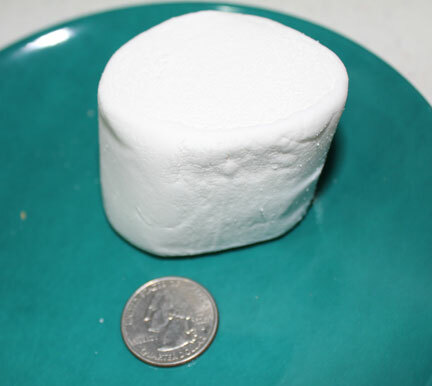 They are marvelous with regular size marshmallows. How much better would they be with gigantic puffs of fluffy sweetness? So good I nearly melted in a puddle. Oh. My. Goodness. 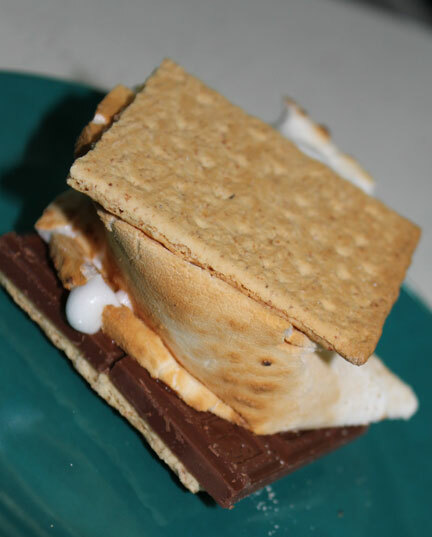 S’mores are made by sandwiching a toasted marshmallow and a piece of chocolate in between two graham crackers. 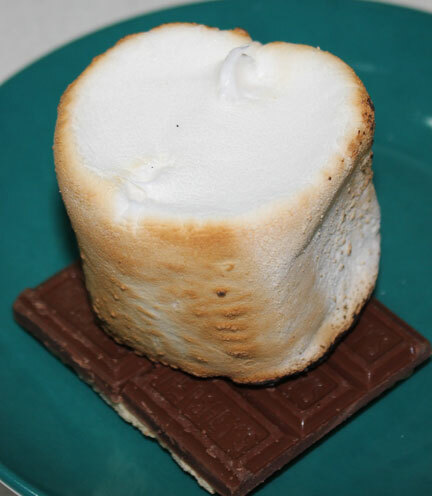 The name of the treat comes from the two words “some more,” clearly combined because people often wanted to have at least a second serving after having one s’more. The treat was developed by campers in the early part of the 20th century, although the exact date or place is unknown. The first recipe was published in 1927 in the Girl Scout Handbook. 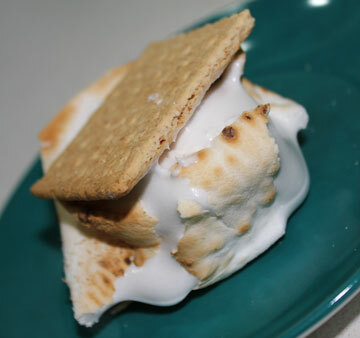 If you’ve never made S’mores, give it a whirl. Especially if you can snag a bag of these over-sized marshmallows! Captain Cavedweller found these at Wal-Mart. 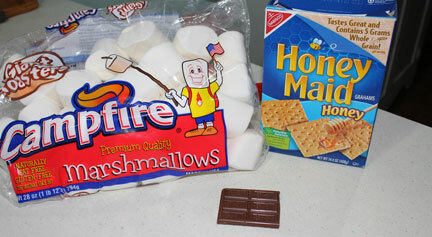 Start with your basic three ingredients for S'mores - marshmallows, a chocolate bar and graham crackers. 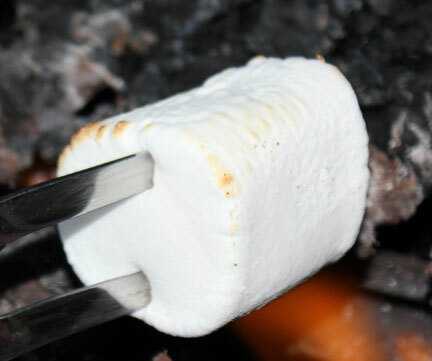 Toast your marshmallow until the inside is oozy and the outside is toasty brown. You don't even need a campfire. Captain Cavedweller toasted these on the barbecue. 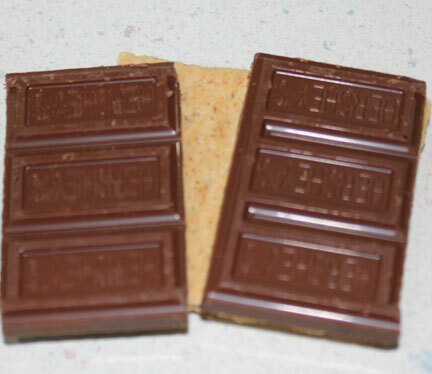 Line up your chocolate on a graham cracker. Top with your toasted puff of liquid sweet bliss, aka marshmallow. Place another graham cracker on top.